50¢ a page, that's how. When was the last time you paid 50¢ for a black and white photocopy? Probably never unless you've had to copy a court record in California. Under the California Public Records Act (CPRA), a government agency can only charge for the cost of producing records. Most agencies charge 8-10¢ per page, so the bill for 100 pages would ring in around $8-$10. When records can be provided in electronic form — such as copied onto a disc, USB drive, or sent via email— agencies often provide the records free of charge or for a nominal fee. Thousands of pages of records could be copied onto a thumb drive for fractions of a penny per page, in seconds. But a 100-page court document would set you back $50. That's 5 to 6 times the cost allowed under the CPRA and it far exceeds the cost of producing the records. Leave comments below, or email us, if you've paid for court records. Include time spent driving, waiting in line, searching for records, and the amount paid, including parking, gas, and time off work. We will write another piece with your responses. Why are court records so ridiculously expensive? Because they are not subject to the California Public Records Act. Even if the records can be produced in electronic form (more courts are using electronic document filing), the courts still charge 50¢ per page. If an academic researcher wanted 1 GB of court records copied onto a thumb drive (about 5,000 pages in PDF format), the file transfer would take less than a minute, but would cost $2,500. Want a 16GB USB stick filled with court records? That'll be $80,000, please. Copying one volume of a court file, roughly 1,000 pages, would cost $500. Many civil, criminal, probate, family law, and other cases are multiple volumes. San Francisco Superior Court, like many courts, lists its fee schedule. 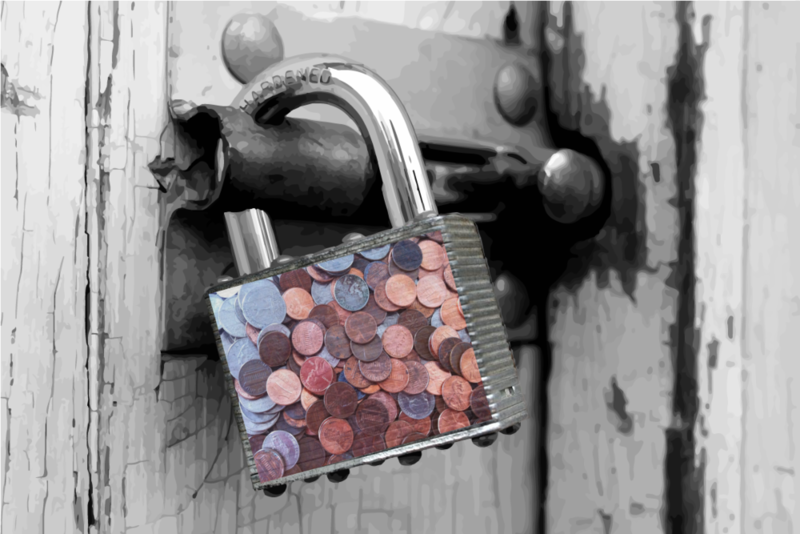 For many investigative reporters, academic researchers, citizen watchdogs, litigants, and interested members of the public, such an exorbitant rate makes court records inaccessible. The courts might argue that fee waivers could be obtained. But in reality, the requirements for obtaining a fee waiver are stringent and discretionary. Fee waivers are rarely granted for anyone but the indigent. By comparison, federal courts have used the electronic document filing system, PACER (Public Access to Court Electronic Records), for 30 years. All documents filed in federal courts have been available online for download since 2004. Nearly a billion documents are now available. The cost of downloading? 10¢ a page with a maximum of $3.00 per document. While a 100-page document would cost $50 to copy in a California court, it would cost $3.00 on PACER. And you don't have to take time off work or spend hours driving to the courthouse, waiting in line, paying for gas and parking, and getting paper copies, only to have to scan them into your computer later. You would think that California, the self-proclaimed most progressive, open-government, tech-savvy state in the country, and home to Silicon Valley, would not be 30 years behind the federal government on implementing such a simple, straightforward electronic file storage and access system. But that's par for the California judiciary. Where did the fifty cents per page fee originate? You guessed it: California's Judicial Council. In November 2004, when 83.4% of California voters added the Sunshine Amendment to the California Constitution by ballot initiative, greatly expanding the public's right to attend and record government meetings and obtain records from government agencies, California's Judicial Council was busy crafting an omnibus bill to create a statewide court fee schedule that would accomplish just the opposite — make it more difficult for the public to obtain court records by making them cost-prohibitive. In December 2003, former Chief Justice of the California Supreme Court, Ronald George, established the Court Fees Working Group (CFWG) to undertake a review of court policies and make recommendations for a uniform set of court fees across the state. The CFWG worked through 2004 and submitted its recommendations, which included the 50¢ per page copy fee, to the Judicial Council for approval in December 2004. Ultimately passed as the Uniform Civil Fees and Standard Fee Schedule Act of 2005, the fees for copying court records were buried in the middle of the massive bill. For the past 13 years and counting, the state's public courthouses have been permitted to charge copying fees that are 625% higher than Kinko's, a for-profit corporation. Apparently, the Judicial Council decided it was better to discourage copying of court records and to turn public records into a moneymaking scheme. There is a way around the crazy copy fees: use a scanner app or a portable scanner. Ex Parte has no interest in the apps above, nor receives any ad revenue for displaying them. We're just trying to save people 50¢ a page! Because court records are bound at the top and cannot be removed from the binding except by a court clerk, the tops of documents may be cut off or come out skewed. But the apps still produce quality, readable copies of the records. The court can't stop you from photographing the records either (except see below!). The court must allow any person to inspect a court file, which includes, in our opinion, a right to make copies of a court file with a personal device so long as the records are not damaged or altered, thus avoiding the preposterous $0.50 per page copy fee. Other states have explicitly upheld these rights in case law and legal opinions. California has yet to do so. If the 50¢ per page copy fee wasn't steep enough, how about spending 6 months in jail for taking a photo of a public court document? You would think that was a joke, but it's not. 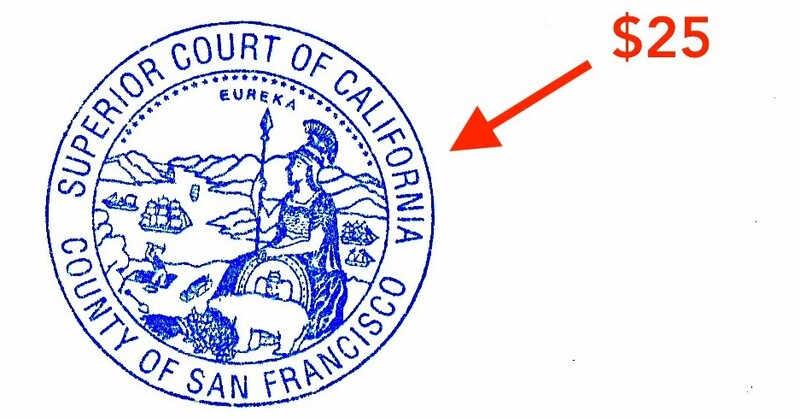 In October 2017, Santa Clara County Presiding Judge Patricia Lucas, an advisory member of the California Judicial Council, wrote a "Standing Order" banning photography anywhere in courthouse facilities, including the court records room. A violation of the order subjects a person to 6 months in jail under Penal Code 166: violation of a court order. At least one prosecution is already underway. A handful of counties have implemented similar bans on photography and recording anywhere in courthouses, or in select areas. We recommend first asking a court clerk if you are permitted to take photos of the records. If you are told that you cannot take photographs, please email us with details. Ex Parte believes such rules and "standing orders" violate basic rights, but please follow all local rules and orders until such matters are resolved. Staff from Ex Parte informed a senior clerk at a Bay Area courthouse that a rule prohibiting photography in the clerk's office violated the right to copy public records and the need to obtain color copies of particular documents in a court file, which the court could not provide. Graciously, an exception was granted. Dear Legislators: Hungry For Some Low-Hanging Fruit? "The clerk of the court shall charge fifty cents ($0.50) per page to cover the actual cost of preparing copies of any record, proceeding, or paper on file in the clerk's office, or $0.10 per page, whichever amount is less." "No person may be prohibited from photographing or otherwise copying any unsealed court record or paper with a personal device so long as the device does not damage or alter the record." "For copies exceeding a cost of $10, the court must offer to scan and copy the records onto a disc, USB drive, or to provide by other electronic media, such as a link to a file-sharing website or other method of transfer, and may charge only the cost of providing the disc, drive, or other media service." If a bill is passed to amend Government Code § 70627(a) in the spirit above, Ex Parte staff and supporters of the bill will personally deliver a large, congratulatory, low-hanging fruit basket to the author, or co-authors, of the legislation. Ex Parte will supplement this article with another article and/or video documenting the purchase and delivery of the fruit basket to the legislator's Capitol office, in celebration of the historic achievement to stop hosing the public 50¢ for photocopies. Ex Parte will ensure the fruit basket does not exceed the gift limits imposed by the California Fair Political Practices Commission as specified in Section 87200 et. seq. of the Political Reform Act. Ex Parte will further ensure and publicize that such a fruit basket was properly disclosed on the legislator's Form 700 as a "Congratulatory Low-Hanging Fruit Basket." Leave comments below, or email us, if you've had to pay the exorbitant copy fee. Please include how long you spent driving to court, waiting in line, searching for records, paperclipping pages, and the amount you paid for the records, parking, gas, and time off work. Please include a total estimated cost of your endeavor to get court records and specify why you needed them. If enough responses are received, we will publish another piece with your responses.